Grass verges on Downsview Crescent, Manor Park Estate, Uckfield, are not to be protected by bollards. 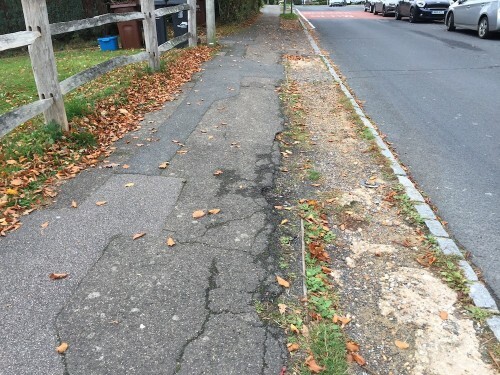 The issue of cars churning up the verges has concerned residents for many years and at one stage it seemed as if East Sussex County Council would install bollards. Now that hope has been dashed. A county official has been asked to look into the matter. The same meeting also considered requests for a speed limit at Ringles Cross and was told a speed survey had been completed. “Confirmation is to be sought as to whether this is to be included in phase four roadworks,” the minutes of the strengthening local relationships liaison meeting state.